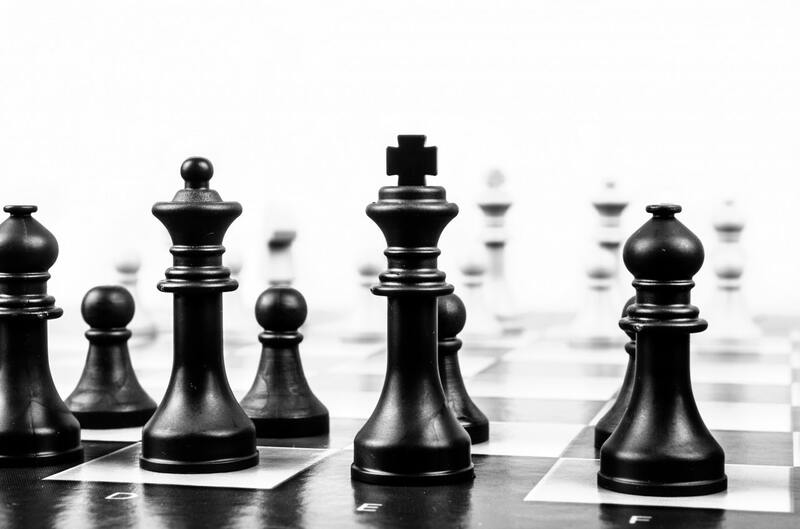 What are The Right Questions and how does strategic planning link to decision making and achieving goals? So, having established in previous posts some of the background behind The Right Questions and an idea of their importance, we can now get an overview of The Right Questions and how they are applied to strategic planning and achieving goals, both in a personal or business context. 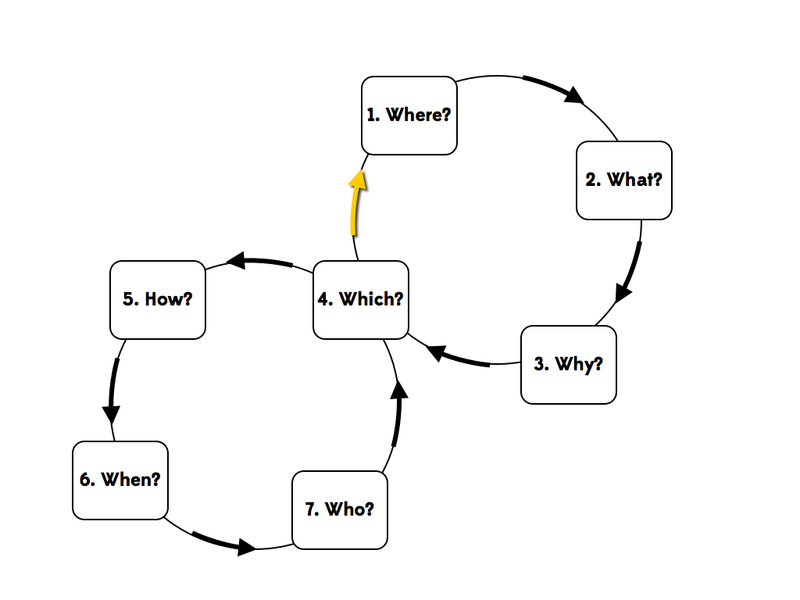 The questions come in an order of sorts but the process of asking The Right Questions is also iterative and cyclical. In other words the answer to one question is likely to inform an answer to another, and even after we have worked through all the questions we will generally go back and revisit the others to refine our answers. It is beneficial to explore the questions in two broad groups. The first is comprised of the where, what and why, and these encompass the strategic framing of a situation. The second group is made up of the questions how, when, and who and these help us develop a specific plan within the aforementioned strategic frame. The two groups are joined by ‘which’ as this question deals with the concepts of options and risk. After looking at the overall strategic picture we use ‘which’ to explore courses of action from which we can choose an option to develop into a more detailed plan. We then return to this same question to weigh the risks as the plan progresses. Looking at these options and risks are the key decision points and can lead us to return through the strategic framing or planning loops again. Taken all together these seven questions create a template for strategic planning and also become a decision making process that follows a figure of eight cycle, as demonstrated in the diagram below. ‘Where?’ is the present location and the future destination, the situation and the vision. We look at whence we have come from and whither are we going as our journey is bracketed by these ideas of ‘where’. 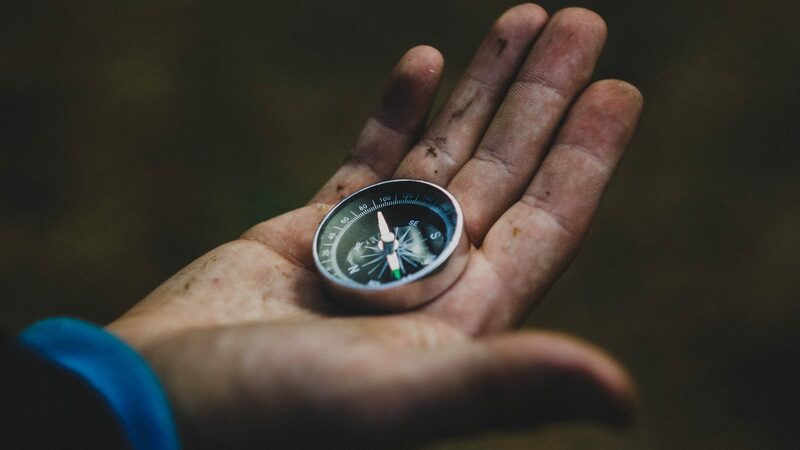 When you get out a map the first thing you do is identify where you are and get your bearings; only once you have done this do you plan to move. And when you move, you don’t want to wander aimlessly (as movement in itself is not progress), there needs to be a destination, something we are aiming for. This destination is the dream, the thing that stokes our passion and gives us our drive. ‘What?’ represents the mission, the reality of what we are going to do. The mission is the bottom line, the tangible measured difference that we are to make. To work out the mission we need to define success so that we know our finish line. We can then sum this up in a pithy and memorable way to get our mission statement. The ‘Why?’ represents our values. Our values are our identity; the things at our centre that define why we have the vision in the first place, why we do the things we do, why we attract certain people. They are our beliefs and worldview. These are often things we hold in to common with others at one level but the particular combination and application of the values makes them unique to us. Knowing our principles shows us what we value most and therefore it also helps us to prioritise and make good decisions. ‘How?’ is the method or plan by which we achieve the mission. The overall strategy consists of goals and activities that are needed to propel us towards our dream. Breaking down the route into manageable steps gives us the basis of an action plan and makes the dream an achievable reality. Once we have worked out the detail of each task it is much easier to assess the correct resources we need for each step and therefore, by adding up these resources, we can get a better estimate of the total resources we need to achieve the whole mission. It is no surprise that ‘When?’ refers to time. Timing is critical. Timing makes the difference between success and failure and it takes an equal measure of planning and wisdom to know when to implement strategies, to go for goals and ultimately achieve missions. Timing is key to planning and is the one truly limited resource. As we overlay our plan with time we create a programme with milestones that help us to measure our progress towards our goal. The ‘Who?’ is primarily about the roles different people fulfil, the makeup of our team, the structure of our organisation and the people we connect with in our personal network. Sometimes we have a mission and then we go out and put together a team and therefore we need to know what we are looking for. At other times we may need an existing team to adopt a new strategy. In this case we need to know how best to place people as we re-structure the existing team. Even if we are operating alone, not having a specific team or organisation, we always have a unique network of contacts to draw upon. People are always involved one way or another on our journey and they are the most important resource that we can draw upon. We have to choose which way to go and therefore ‘Which?’ deals with the idea of selection. First we have to generate a range of courses of options we can choose from. This is a creative process, requiring divergent thinking, and taking time to step out of the purely logical process in order to examine unorthodox ways of problem solving. Generating these options is something we can do before looking at the how, when and who questions. We are generally faced with various strategy options and we have to select a route by assessing all the factors. One of the major factors affecting a decision is risk. If a venture is deemed too risky it is the surest thing that will stop us acting, no matter how attractive the option first seemed. Therefore risks need to be identified, assessed, mitigated and managed so that we are in the best possible place to make our decisions. Capacity for risk varies between people and situations so it is important to remember that this is an on-going process of management. At the same time we don’t want to become defensive, timid or risk averse; achieving bold visions means taking risks. We just need to make sure we have counted the cost before we commit ourselves. Therefore it is good to revisit the ‘which’ question at the end of the process and delve more deeply into risk before fully committing to a project plan. Now that we have looked at an overview of The Right Questions we will look at each one in greater detail in future posts. Do leave a comment and let me know which question you would like to know more about. Pingback: What is a business case and how do you write one? Pingback: What is decision making and do we need to use a decision making process?